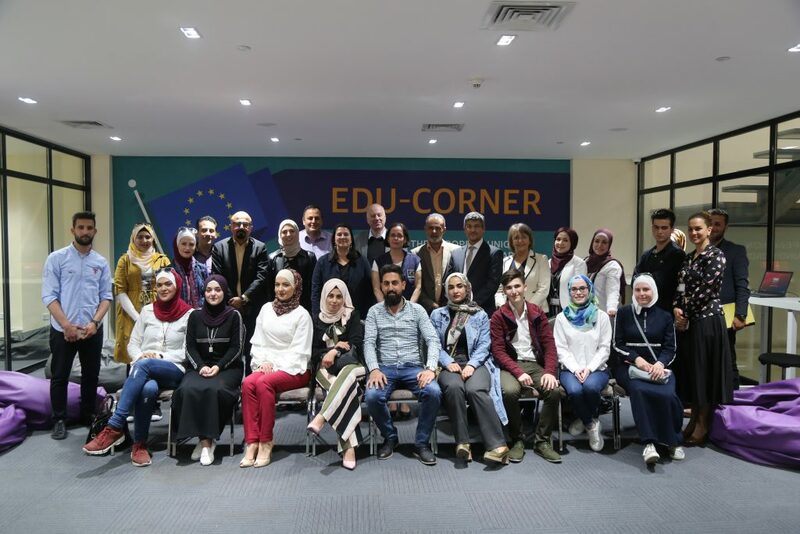 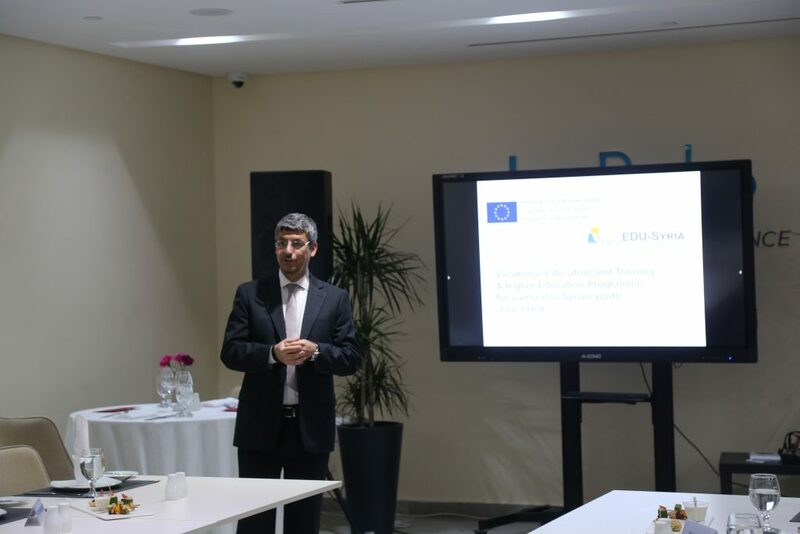 On Sunday 14 April 2019, The Deputy manager of EU Regional Trust Fund in Response to the Syrian Crisis “Madad”, Ms.Danielle Keulen, visited EDU SYRIA at Luminus Technical University College and opened the EDU SYRIA corner. The EDU SYRIA corner is a study area designated for the program students (almost 500) at Luminus Technical University University (LTUC) to study and gather, thus the facility is equipped with 16 laptops and a library available for all EDU SYRIA students. 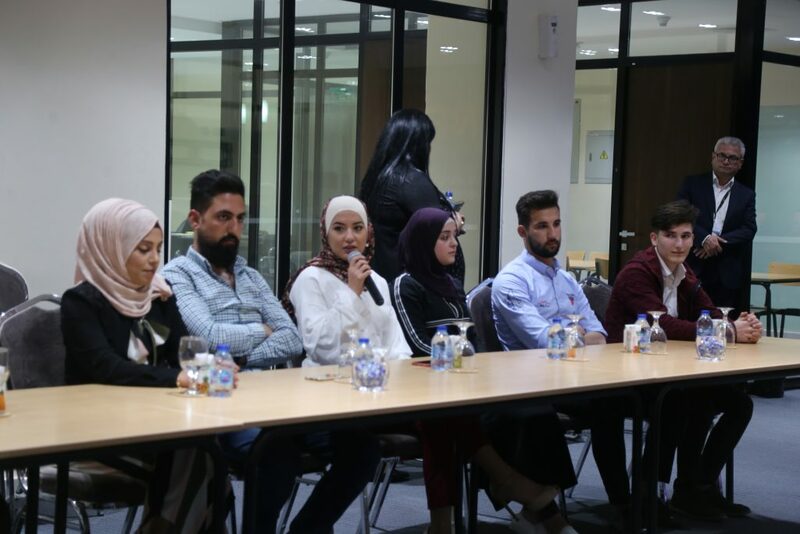 During the event, Ms.Danielle Keulen along with EDU-SYRIA team and LTUC Dean joined a roundtable discussion with a group of Syrian and Jordanian students of EDU SYRIA where they talked about the importance of the scholarships, its impacts on the students, and hat are their plans and goals after the graduation. 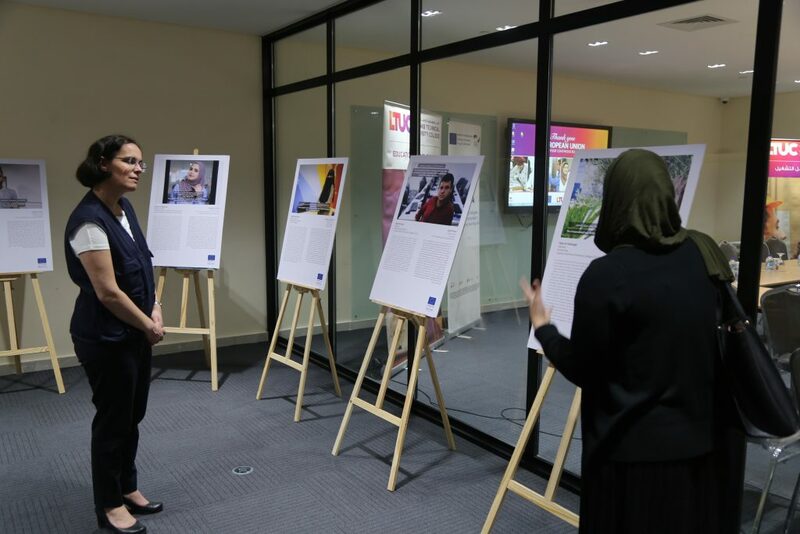 Ms.Danielle Keulen expressed her admiration for the students who despite their challenging situations where able to continue their higher education with the help of the scholarship. 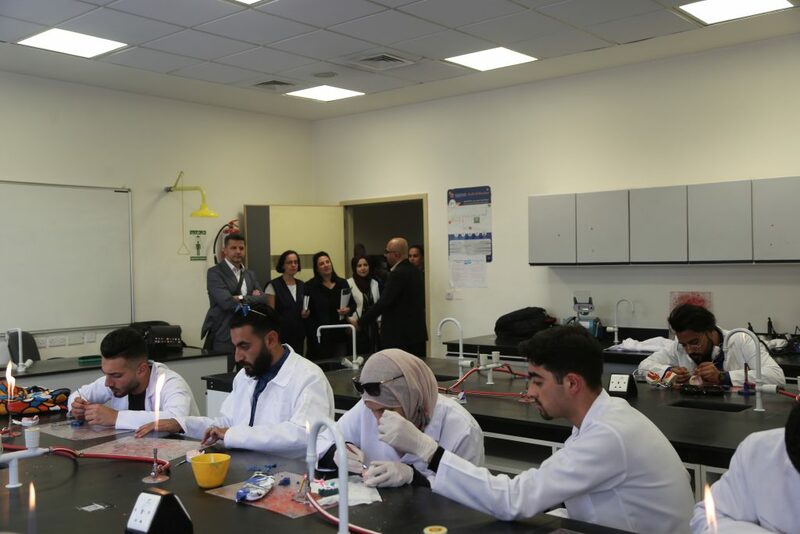 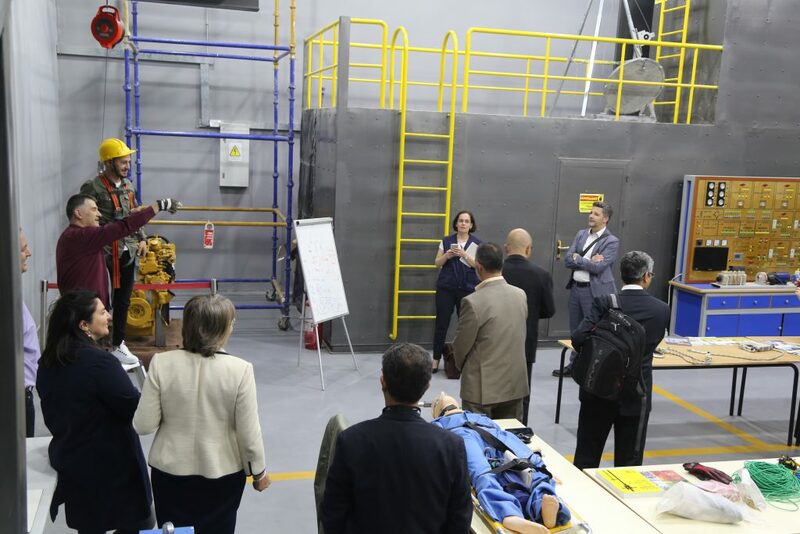 After the event, the delegation had a tour in LTUC facilities, the Medical Department, Engineering Workshops, Health & Safety Lab, School of Creative Media, and School of Hospitality and Tourism.